Millennials or Gen-Y are the people who were born between 1980 and the early 2000’s. 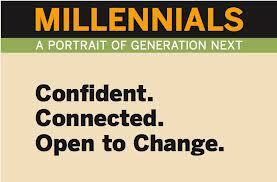 Millennials who are in their thirties and twenties constitute a large number of today’s workforce. Due to their large numbers, that are continuously growing, organizations are focusing at designing and creating such workplaces and processes that are based on the ideas adhered by millennials. From workplace design to office hardware and from recruitment processes to performance management system businesses are trying to go for those schemes that are based on the ideals approved by them. O2, the UK’s leading mobile network, uses a video game for hiring professionals at its stores. Nike has developed an application NIKE+ for the management of personal performance. NTT Data and Deloitte use video games to train their managers. DHL has developed a social platform for its employees who are spread worldwide; purpose is to increase interaction among workers in order to create collaboration and to find solutions of different problems. Google’s office is an interesting example in this regard, its interior is attractive. It has all of the facilities that employees need in their everyday lives. 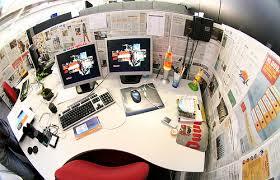 Employees can also customize their work stations. Abovementioned things are testimony of the fact that workplaces are changing. These changes are necessary to make millennials work at their best. If you are an HR manager, Workplace strategist, Change manager or a leader of an organization who is responsible for bringing workplace changes in order to make it ready for the future then the following suggestions are certainly of your use. Millennials expect quick feedback from their peers and supervisors. Make such arrangements at your workplace that feedback for the work done is delivered as early as possible. Reason is that millennials are highly influenced by video games where feedback for every action is provided immediately. Moreover, they spend lots of time over social media where feedback for every post or share is immediate and huge. Millennials appreciate working in environments that are open and clear, openness in terms of communication that takes place within organizations, organizational policies, reports relating to performance of human resources, distribution of performance targets, rewards, remuneration and other ethical issues. Millennials prefer to have workplaces of their choice. One fact must be kept in mind that they get chances of customization every-where i.e. computers, social platforms, video games etc. Therefore, they prefer to have choices when it comes to their workplaces. Organizational process must be employee centric. Employees must be given importance and processes must be to make things easier for them. Work patterns and organizational processes should be engaging. In order to make patterns and processes engaging businesses should make them interactive. For instance if an employee performs his routine job he should be able to see his progress and performance continuously. Feedback should be immediately provided to them. They should be given freedom to take decisions about their work in order to give them ownership of it. One thing is said frequently about millennials that they prefer to experience things. They get immersed into their work when they feel it. Thus, when it comes to goals and targets they should be provided graphic representations of them. Having a social platform for the employees of your organization is really a good idea. Do such arrangements that offer immediate recognition and rewards to employees. Status updates, level up, badges, awards and certificates are used by different organizations in this regard. Do not enforce work on your employees. Allow them to work at their ease but define framework and time limits in this regard. Forget the 9-5 rule, do something different to attract the best talent. To improve work life balance and to offer more flexibility offer such work timings that suits to your workforce. Millennials adore those arrangements that are flexible and can be customized. Gamification comes forward as a viable solution to make training and learning sessions more effective, interesting and fruitful. Games have five elements which are helpful in improving learning. These elements are: competition, focus, immersion, continuous feedback and interactivity. More and more organizations are trying to change designs of workplaces. A study has predicted that in the coming years companies will decrease their physical space by 17 percent due to advancements in the field of mobile technology. In terms of processes and structures organizations have undergone many changes. Now organizations are changing their structures from centralized to flat ones. At the place of vesting power into few hands businesses are disseminating the power of decision making into more hands. Organizations are making these changes, in terms of design and processes, to meet exigencies of time and to make workplaces in such a way that stir millennials to work at their best.